Rafael Nadal remains on track for a first Australian Open title since 2009 after a crushing straight-sets victory over Stefanos Tsitsipas in their semi-final clash on Thursday. Nadal is through to his fifth Melbourne final after overcoming Roger Federer’s conqueror on Rod Laver Arena 6-2 6-4 6-0 as the revelation of this year’s tournament was defeated. The Greek sensation, 20, has brought joy to the year’s first major, but he was no match for Nadal, who will now face either Novak Djokovic or Lucas Pouille in Sunday’s final. Nadal produced 28 winners and is still is yet to drop a set in the whole tournament, remarkably not even dropping serve once since his opening match. This was a lesson from Nadal and further evidence to back up claims he is playing the best tennis of his career. An improved serve, volleying skills and rasping backhands formed the blueprint to a demolition that was completed in one hour and 46 minutes – ending with a few quiet words at the net before Nadal took the applause of the crowd, through to a 25th Grand Slam final. Nadal’s performance was even more incredible given he was unable to play in the Brisbane warm-up tournament due to injury – with the Australian Open his first competitive tennis since the US Open last year. When asked if he is capable of playing even better, Nadal said on court afterwards: “Hopefully, yes. I don’t know but it was a great match and it’s been a great tournament. It’s been a lot of months without playing, but the crowd have given me unbelievable energy. It’s been unbelievable. Despite ending the run of the exciting young Tsitsipas, it has been a breakthrough tournament for the next generation of tennis stars, as Nadal added: “They don’t need any message. They are good and they are improving every month so it’s always a big challenge to play against them. Nadal, who is bidding to become just the third man to win all four of the Grand Slam events twice, joining Rod Laver and Roy Emerson, stamped his authority on the contest by clinching the first break after just 11 minutes to take a 2-1 lead in the first set. The Spaniard lost just three points on his serve in a brisk 31-minute opener as the number two seed fired 11 winners to canter into a lead. Tsitsipas produced an amazing hold from 0-40 with phenomenal tennis to get himself out of a hole and lead 3-2 in the second – but it was a rare sign of the quality that has taken him to the last four. 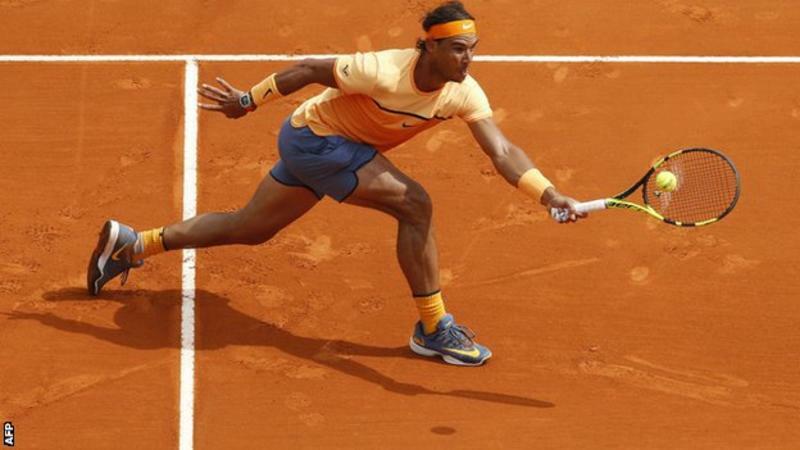 The pair exchanged love holds but Nadal was then given the chance to serve for a two-set lead when Tsitsipas missed a winner on a deep forehand – and the 17-time major champion held to love. Tsitsipas had pushed him in the second set with an improved first service success of 85 per cent compared to just 58 from his opponent, but Nadal still only lost another three points on his serve to always look in control. The 32-year-old won eight out of nine net points during the second, and he immediately earned three break points at the start of the third – sealed with a devastating backhand, a 22nd winner, at the second attempt. The Greek continued to try to change things up, but Nadal showed his array of shots as a graceful lob was followed by a brutal smash to secure a double break. Tsitsipas was handed a warning after showing his frustration when a good start at an attempt to break back slipped through his grasp with an 18th unforced error. Nadal duly consolidated the break to make it seven games won in a row and another break of serve to love allowed him to complete a third-set bagel.